Unfortunately, these judgments often result from individuals failing to respond when they receive a summons notifying them there is a pending, active lawsuit against them in state court. Florida allows a defendant just twenty days to respond to a lawsuit to prevent a default judgment, a judgment due to the defendant’s failure to respond, from being entered by the courts. In the event that a judgment is entered, judgments are enforceable for twenty (20) years in the State of Florida, and interest accrues at a statutory rate, currently 4.75 % per year. If an individual fails to pay that judgment, creditors have several options to enforce that judgment, including but not limited to wage garnishment. Creditors may obtain an order from the court to garnish up to twenty-five (25) percent of a person’s net pay. Typically, the garnishment continues until the judgment, along with the accruing interest, is paid in full. One way to prevent or stop that garnishment is to file a bankruptcy. Under the United States Code, the bankruptcy court enters an injunction, called an automatic stay, which prevents creditors from taking any further action against the individual who has filed bankruptcy, known as the debtor. This stay is automatic, and applies in both Chapter 7 bankruptcy and Chapter 13 bankruptcy. The stay is designed to prevent creditors from initiating lawsuits, obtaining judgments, or beginning or continuing wage garnishments. In the event that a creditor continues to garnish the wages of the debtor, there are several options available to the debtor and the debtor’s attorney to stop the garnishment. Often, the attorney can contact the creditor or the creditor’s attorney directly and inform him of the ramifications of violating the automatic stay. When a creditor continues to garnish wages in violation of the bankruptcy code, the debtor and the debtor’s attorney can decide to move for sanctions against that creditor. The bankruptcy court has several different types of sanctions available that it may order against a creditor in violation of the bankruptcy stay. If you are facing a wage garnishment, it may be beneficial for you to contact an experienced Jacksonville bankruptcy attorney for more information regarding your options. The attorneys at Cleaveland & Cleaveland, P.L. handle bankruptcy and can help to determine which chapter of bankruptcy is better suited for you. If a judgment has been filed against you and you are facing a current or potential wage garnishment, please contact the attorneys at Cleaveland & Cleaveland, P.L. at (904) 642-2040 to schedule a free consultation. 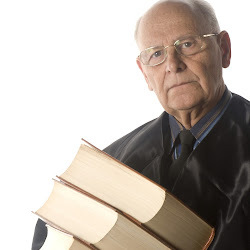 Next Article What is an Attorney Allentown?